Last week I wrote about workplace confidentiality rules that the NLRB’s General Counsel says violate the NLRA (National Labor Relations Act). This week, we are looking at the same report and what it has to say about workplace rules regarding conduct toward management. 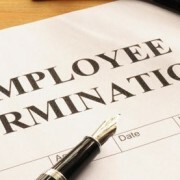 a rule that prohibits employees from engaging in. “disrespectful,” “negative,” “inappropriate,” or “rude” conduct towards the employer or management, absent sufficient clarification or context, will usually be found unlawful. Citing Casino San Pablo, 361 NLRB No. 148, slip op. at 3 (Dec. 16, 2014). As with the confidentiality rules, the General gives several examples of rules regarding conduct toward management that he believes violate the NLRA and examples of rules that do not violate the NLRA. No “[d]efamatory, libelous, slanderous or discriminatory comments about [the Company], its customers and/or competitors, its employees or management. overt insubordination” will result in discipline. No “rudeness or unprofessional behavior toward a customer, or anyone in contact with” the company. “Being insubordinate, threatening, intimidating, disrespectful or assaulting a manager/supervisor, coworker, customer or vendor will result in” discipline. Confused yet? Does it seem that some of the lawful rules are extremely close to the unlawful rules? You’re not alone. It’s difficult to tell the difference in many examples. When drafting workplace conduct policies, employers should be mindful that employees have the right to complain about their workplace and share their experiences and opinions regarding management and the company. Limiting an employee’s right to complain about management will likely violate the NLRA. Employers have to consider the impact of workplace rules on employee rights and find an appropriate balance.